The new road which forms the first stage of the Lake Macquarie Transport Interchange project was officially opened today, bringing a bit of relief for motorists around the Glendale and Cardiff area. The new $40-million road provides a quicker and more direct route to Hunter Sports Centre and Glendale shops, taking a lot of pressure off Lake Road. 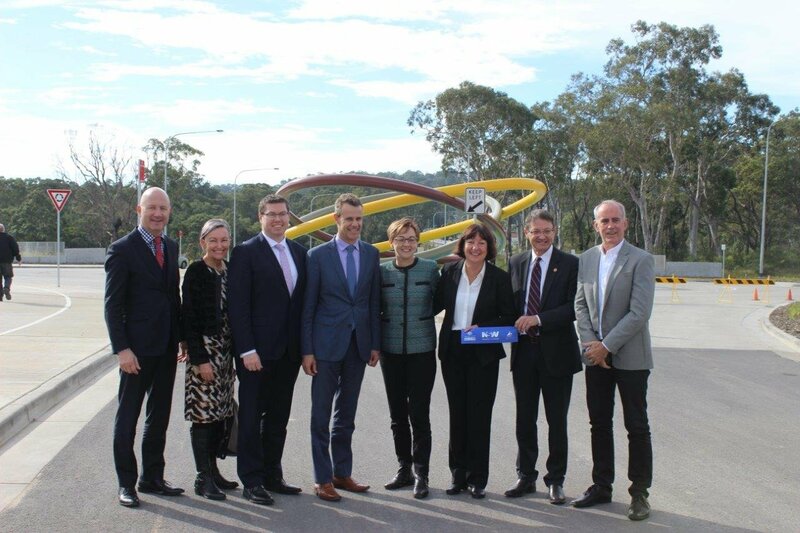 It was jointly funded by the State and Federal governments, Lake Macquarie City Council and Stockland Glendale. Independent Member for Lake Macquarie Greg Piper said he was pleased to see the first stage of the Lake Macquarie Transport Interchange project completed. "This will take a lot of pressure off other roads in the area and will make it a lot easier for people trying to access the sports centre and retail precinct from the Cardiff side, but it is just the first stage of the much bigger interchange project," he said. "The second stage, which includes construction of the Pennant Street bridge over the rail line, remains unfunded so we've go to keep the pressure on the State and Federal governments to keep this project moving forward."